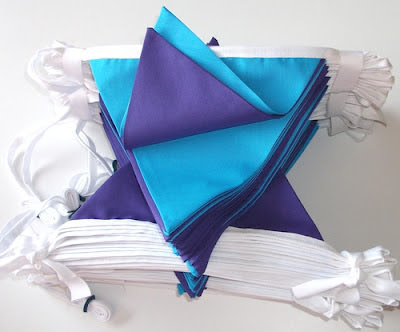 Our popular pick and mix colours bunting allows you to choose your own single colour or multiple colour combinations – Our standard length for bunting is 10m, but we are happy to make other sizes, if this is preferable. There are over 30 stock colours to choose from. As a guide to help you can view our pick & mix colour chart. If you would like further information, please email or telephone us for assistance. 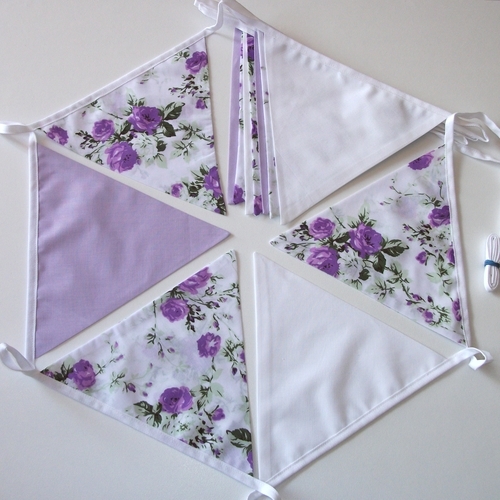 Our wedding bunting will help to make your big day an extra special occasion. 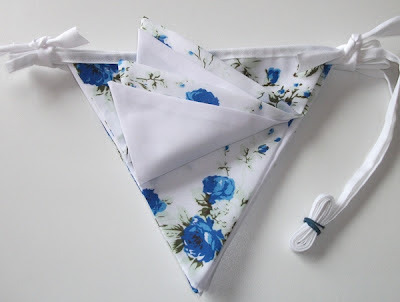 Our pick and mix colours bunting has been one of our most popular bunting options for weddings this year. 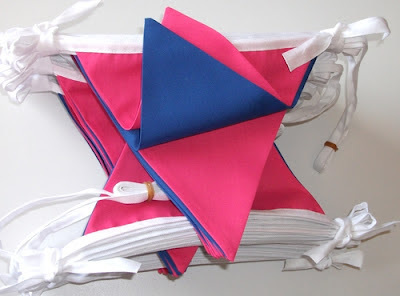 Pick and mix colours bunting allows you to choose the colours that match your wedding theme or palette. You can choose one, two or three different colours from the website options. If you would like 4 or more colours, we can even do that, just contact us with your requirements. The main colours available include: black, white, red, orange, ivory, gold, silver, beige, sky blue, light blue, light turquoise, pink, lilac, burgundy, brown, canary yellow, purple, royal blue, navy blue, turquoise, emerald green, hot pink, peach, bottle green, mint/light green, olive green, lime green, jade, cream and lemon. The colours can be viewed on our Pick and Mix Colour Chart. If your desired colour is not on the list, we will try to source it for you. 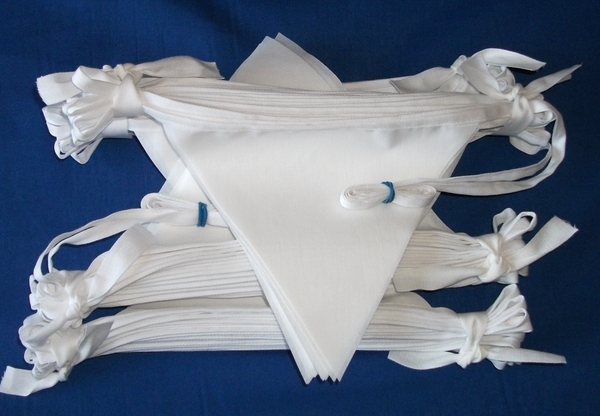 We offer three standard lengths of bunting: 4 metres, 6 metres and 10 metres. We can also make up bunting to your own specific lengths. 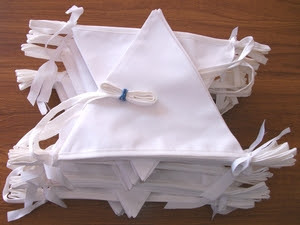 We also make the traditional and ever popular white wedding bunting in both single sided and double sided pennants in a choice of lengths, 4 metres, 6 metres and 10 metres. 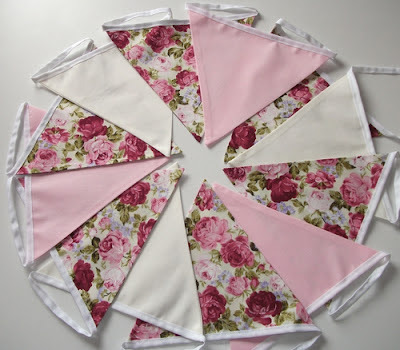 In addition to plain colours, we offer floral bunting and Just Married bunting in a variety of different patterns and colour options. 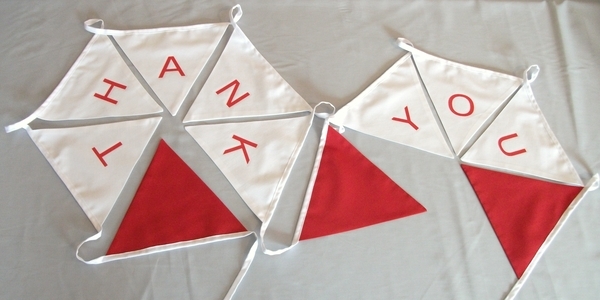 If you have special requirements, we offer a bespoke bunting service and can also personalise bunting with lettering, etc. The traditional Wimbledon colours are purple and dark green, so we decided to make some bunting to celebrate the event. 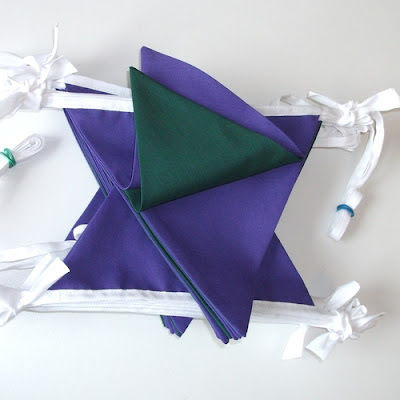 Our Wimbledon colours bunting is ideal for decorating your very own Henman Hill, Murray Mount or more aptly, Federer Field and contemplating what could have been (again)! 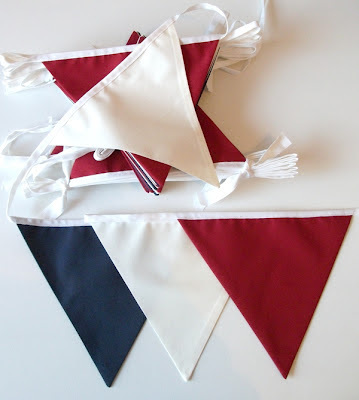 Our second bunting, made in honour of the favourite fruit at Wimbledon, is called strawberries on the lawn bunting and has alternate green gingham and strawberries on white fabric pennants. The colours are bright and fresh and would be ideal for garden parties. Maybe we don't have the world's number one tennis player, but we can still hang out the bunting and celebrate in style. 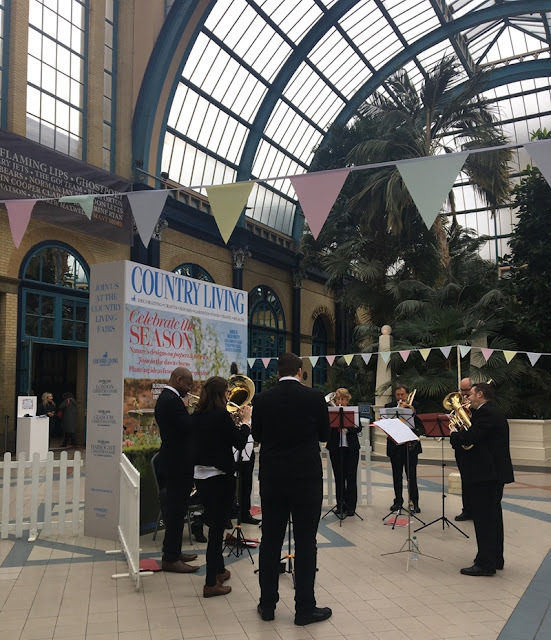 Spring (bunting) was in the air at the Country Living Spring Fair 2018 held at the Alexandra Palace in London from 26 to 29 April 2018. The Country Living Spring Fair is renowned for it's wide selection of stalls covering homewares, gifts, food and drink, crafts, fashion and lots more. 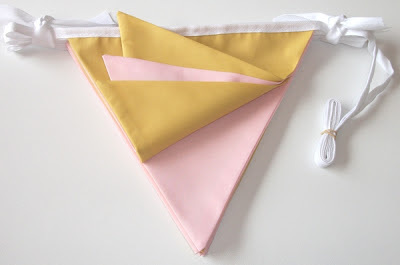 Bunting colours this year were pastels, comprising lemon, pink, mint green and lilac. With the Alexandra Palace being a very grand venue, the use of stands to hang the bunting on were very effective. We hope that everyone that visited the fair had a great time. 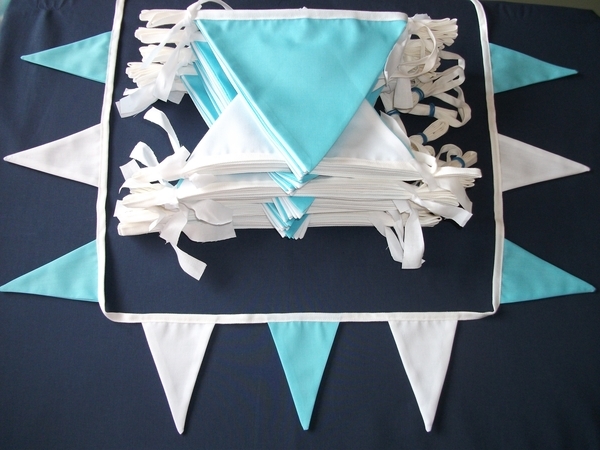 EU Bunting are able to offer a range of bunting in over 30 different plain colours. 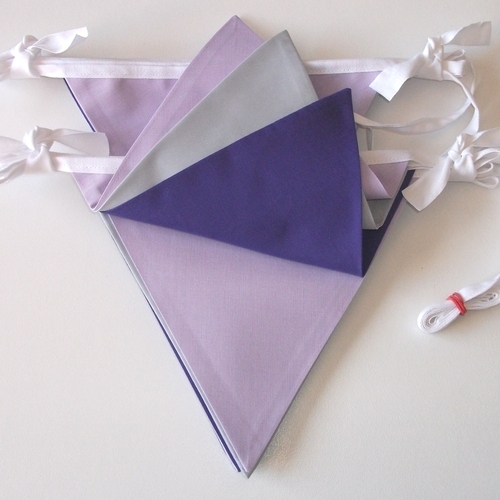 A lot of our bunting tends to be alternating colours, however in some cases single colour bunting is very effective. In circumstances such as school sports days, team building events, etc. our single colour bunting can identify separate team areas aiding event organisation. 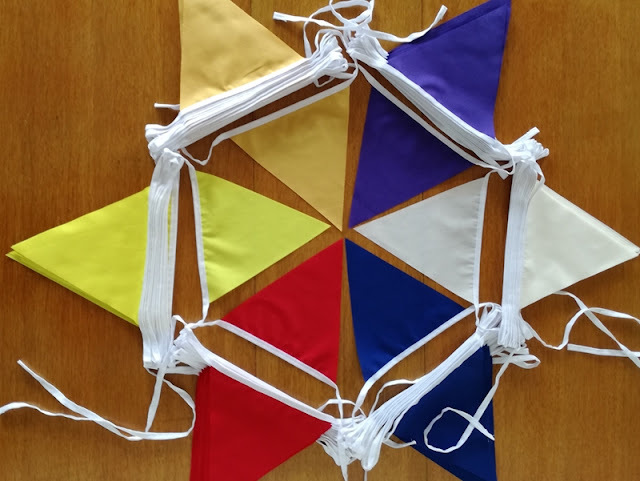 You can pick the colours you wish from either our stock products such as red bunting, yellow bunting and so on or you can use our pick your colours bunting and select your required colour. Our bunting flags are made from woven polycotton fabric and our bunting tape is 100% cotton. This has the advantage over pvc bunting and plastic bunting which tends to be very noisy, especially in coastal settings and breezy conditions.